Welcome to the Cultures and Traditions section of this website. Today I want to talk to you about Greek Arts and Literature while focusing our attention on Rhodes. most extensive places when it came to literature and the arts. Not only did local people flock to get the education, but also people traveled from afar. Important people too. Romans for example like Julius Caesar, Cassius and Tiberius all came to Rhodes to study philosophy. Have you ever heard of the poem Heracleia which was written by Peisander? It is one of his most famous works and it honors Heracles who was the son of Zeus and a hero in Greek Mythology. Well Peisander (Peisandros – Greek – Πείσανδρος) was from Kamiros. Yes that’s right, one of the original three cities on the island of Rhodes. He was also a brilliant and notable poet in his time. Antagoras was also from Rhodes and born after 300 BC. His notable work is that of ‘Thebais also known as Thebaid’ and is written with reference to a district of ancient Egypt. He as also known for other areas such as cooking! 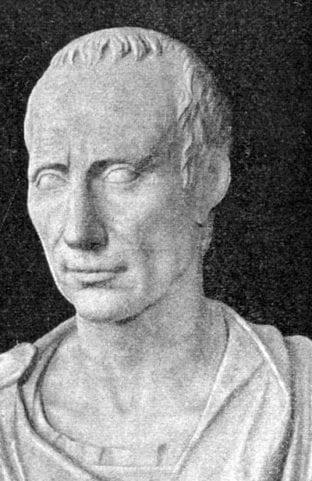 Also known as Apollonius of Rhodes, Apollonius Rhodius was considered a legend when it came to poetry and was said to be one of the tremendous poets of the Alexandrian age. When I talk about Alexandrian, of course this is with reference to Alexander The Great! His most famous work is that of ‘The Voyage of Argo’. Cleobulus was born in the 7th Century BC in Lindos. Again this is another one of the original three cities on the island of Rhodes. He was named as one of the seven sages of Greece. This name was given to those who had wisdom. Top statesmen, lawmakers and Philosophers were given this title in ancient times. 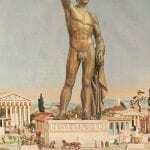 Cleobulus was an astute law giver and politician, and he ruled the city of his birth (Lindos) for over forty years. The schooling in Rhodes was famous throughout the lands and even as far as Rome. 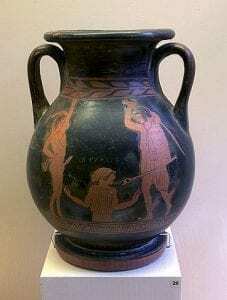 Some of its lecturers and its speakers such as Archelaos and Molon (and others) were considered the most famous. 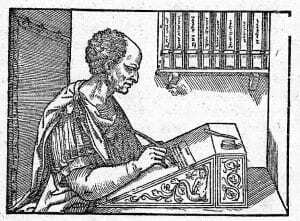 Cicero came to Rhodes to take part in these lessons, and was highly motivated and captured by the intelligent and excellent tuition that he received. Rhodes became just as famous for the arts as it was for literature in ancient times. Even today on Rhodes there is so much in the way of talented and gifted people that produce paintings and pottery. When it comes to naming the most famous names in the arts, it is a long list. 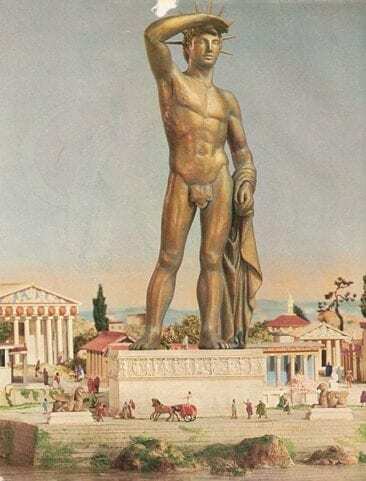 For example though, the name Chares may spring to mind as he was the one that went on to make the famous Colossus, one of the seven wonders of the ancient world. The sculptors of the famous ‘Farnese Bull‘ were Tauriskos and his brother Apollonios Of Tralles and it is said to have been made from only one large block of marble at the end of the 2nd Century BC. These two brothers spent a lot of time on the island of Rhodes. This sculptor was later taken by Asinius Pollio (A Roman Politician) from Rhodes and relocated in Rome. There is also a reproduction of this work which is located in the Museum of Naples in Italy. tells the story of the attack on the Trojan Priest Apollo Laocoon and his sons by serpents that were sent by the gods from the sea. 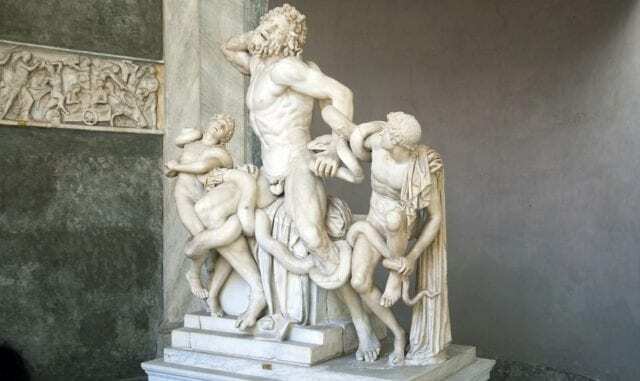 This was done as a punishment as Laocoon had shown lack of respect and contempt. This is certainly a story of adversity. This work of art was made by three sculptors namely Athenodoros, Polydoros and Agesandros. Later this artwork was transported to Rome in the 1st Century AD and today it is considered one of the treasures of Greek Art. Another excellent and well-known talent on Rhodes is that of the painters and the paintings that have been produced over time. Some of these are displayed at the Municipal Art Gallery located at The Knights Castle in the Medieval City. One of the greatest painters was Protogenes. Although he was actually born off the coast of Caria, in the late 4th Century BC he stayed in Rhodes. All of his work never endured, and it is all apparent through references in literature only. His most famous works consist of Ialyssos and the Resting Satyr. During your visit to the island you cane be witness to the most beautiful paintings especially when visiting some of the museums here. 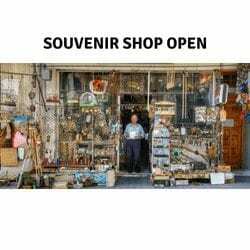 Rhodes is also very well regarded for its pottery making. Even today there are ceramic shops located around the island where you can buy some of the artifacts. Pottery making has been on the island for centuries, even as far back as the Minoan Period and it really became popular here. A lot of the pottery that is made is designed with historic scenes and wonderful patterns and concepts. They are mostly hand made using astounding finesse. As you can see the literature and the arts are considered something important in Rhodes. It is all so easy to leave the past in the past and look to the future, but some of the people that have lived and the achievements they have made should never be forgotten. If anything they should stand proud for people to be able to witness and appreciate for generations to come. Luckily Rhodes preserves a lot of this superb history. I am blessed to have all of this on my doorstep, but I urge anyone who as not been able to see it, to do so. Greek Literature and The Arts, as well as other cultures and traditions will stand the test of time and should be appreciated by the world. Have you had the pleasure to witness what I am talking about? Maybe you have been here and have something to share? Maybe you are planning a visit and want to learn more? Either way, I would love to hear from you all. Your thoughts are always appreciated! Drop me a comment below and I will get back to you. This is a great post. I am interested in Greek mythology and traditions. 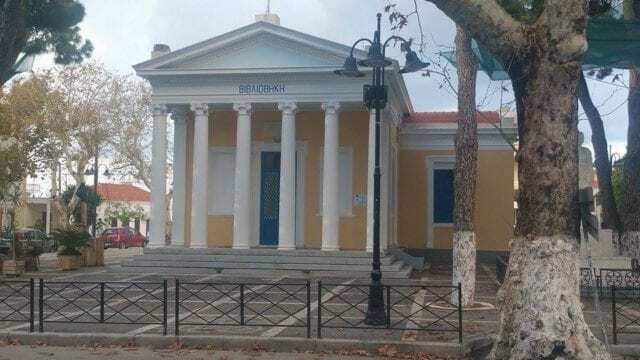 Mostly I admit because my partner is Greek Cypriot and seems to knows everything about the subject due to going to Greek school every Saturday as a child. Greeks are very proud of their traditions and rightly so. Maybe I might teach him something after reading your post. On saying that, I am sure he knows things that I do not, so I am all ears too! Wow, really interesting stuff here. I’ve been to Greece once, but only visited Athens and Santorini, so sadly I missed Rhodes. I’ve really developed more of an interest in literature in the last few years but really don’t know much about the stuff you mentioned here and it’s all very fascinating to me. Especially the Seven Sages of Greece. I’ll have to read about that a bit more. Hello Mary, I am happy you enjoyed the material here. If you look at this link it will offer you more on The Seven Sages Of Greece. If you notice, the top one on the list is Cleobulus, who was actually from Lindos in Rhodes! Hi Chris! I’m really excited to see a person from England living in my home country and dedicating a whole website to ancient Greece! Sometimes I think that other countries and people love Greece much more than we do! I didn’t know that Rhodes was so rich in literature. I have only heard of the poem Herakleia to be honest! I’m really excited about your website and I’ll surely come back to see what else you are going to publish on your website! Hi there John and thanks so much for getting in touch. It is a real pleasure for me to be living in your home country. Which area are you from? I would love to know. 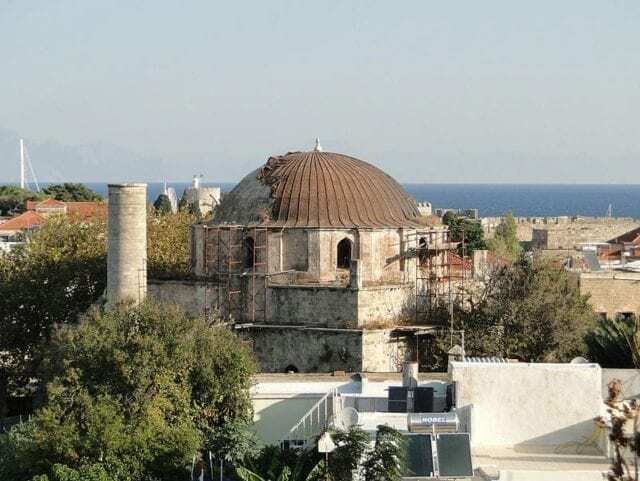 There is so much history here in Rhodes, you would love it. So if you are ever close by let me know. I will buy you a cold Mythos beer and we can catch up. Have you ever been able to get to Rhodes before or not? Man….if there was ever site where I felt like the owner loves what he is doing, I think its yours! Anyway – i have an idea, which i saw already on a Slovakian website, but author left it. He actually created a web site, which pretended to be newspaper, but it was about history. The point was, that every day he looked up the historical calendar for what happened each day, and then he wrote something like a newspaper article about that particular daily story from the past. Sorry if its already old idea, but for web site like yours it might be good. Hey Milos thanks so much for getting in touch and for your thoughts and idea. To be honest, one my information here is more developed, this is something I have considered. I was looking at having a newspaper style section, but I will be honest and did not consider daily stories from the past. I was looking at the more daily happenings of today. But a great idea sir. This is one I will look into, and I will be sure to implement it. Thank you Milos. I appreciate you getting in touch! A year ago I did a brief lesson with my class about Greek culture, but we did not look at the island of Rhodes. We briefly touched on the Greek alphabet, food, arts and of course sports. I remember how much the kids enjoyed researching and learning about the culture. I don’t teach them anymore, but this is an article that would have given us extra insight about Greek culture. 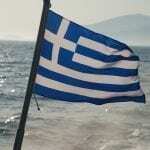 It is great the Greek Culture and education is being made available world wide. May I ask where it is that you were teaching? What made you stop doing it? I would love to visit Greece, it’s a beautiful place and now I get to learn about the literature and the arts. My father has been to Greece many times and he really loves the place so much. He told me if there’s one place in this world that you must visit, It should be Greece! It’s so rich in cultures,traditions and history. I looking forward to visit soon especially the island of Rhodes. Hi there Jaclow thanks for your comment. How as your Father been here many times and you have never had the chance to accompany him? 🙂 You are really missing out. Has he been here to the island of Rhodes too? The culture, history and traditions are out of this world, and everyone should experience them, even if it is only once! This was a great article and very informative. I’ve always wanted to visit the Greek Islands, as they are so beautiful. I always knew the scenery was beautiful there, but I had no idea how enriched with art it’s history was. It’s great that the people there have taken strides in ensuring it’s amazing history is preserved forever. Rhodes really is rich with history yes and it is one of the most popular locations in Greece because of this. There is so much in the way of ancient architecture, history, culture and scenery. A lot of the structures here are of course centuries old and there is a lot of work that goes into maintaining them. On the odd occasion you can see scaffolding erected while the work is being done. Although this takes away some of the visual appeal, it is work that is necessary in order to keep the structures in the best condition. What an interesting article! Reading again about some of the Greek gods and the folklore makes me nostalgic about the days back in school where we learned all these things…a VERY long time ago for me indeed! Thanks for brightening up my day! One day when all my kids are grown and I can afford it, I’d love to visit there! Hi Natalie and thanks so much for your kind words and for passing by my website. I was never much of a history lover when I was at school to be honest. I always found it quite boring, but I guess that’s what you get when you have a boring teacher lol. 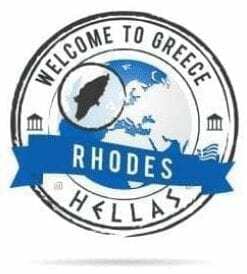 Since living here though I have really come to appreciate the history of Greece and in particular Rhodes as I live here. It really is the most amazing place and should the opportunity present itself to you in the future, I would recommend you come here for the experience. I have a lot of information coming to this site as it develops so be sure to come back and check out any updates. I love reading about stuff like this! I’m a bit of a traveler, but unfortunately I haven’t made it to Greece yet, but this is definitely encouragement! I also really like how the article is laid out, very easy to read. 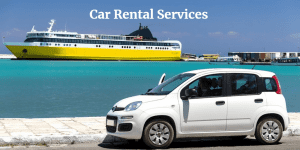 If you love travel, seeing new places and generally having a great experience then you will love Greece. 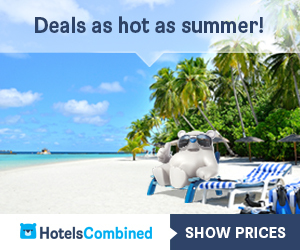 Although the information here is aimed at the island of Rhodes, you will love Greece as a whole. There are so many beautiful places to see, and you will always be made to feel more than welcome! Let me know if you get the opportunity to come, and I am glad you liked the information here. There is always more coming, so stay tuned! It is amazing to read about the Rhodes and think of how organized the system was even way before the rest of the world organized education and culture. Almost unreal that this was a main part of our globe and how it set off to work in the future. It is amazing i agree. To know how intelligent people were then, and how it has never been forgotten. Without all of the technology around that we have today, past philosophers have really shaped things in the past which are still present and appreciated today! I wonder if the generation we live in now will be remembered in thousands of years to come? And if so, how important will it be in comparison to the ancient times we know now? Thanks to you, after reading this I have realized I need to experience this all asap! I love being on holiday I must admit. I think we all like to unwind, relax, hit the beach, drink a beer or two and general kick our heels for a week or two. On saying that I also love to learn and gain experiences I have not had before. 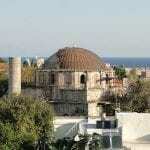 I love Rhodes as it offers such a rich history and culture. It is both fun and interesting. Something I think everyone should experience. I am glad it is on your list of places to see, and when you get your plans in place let me know 🙂 I will buy you that drink! I’ve actually been to Rhodes! Wow it’s been almost 10 years since I was there. It’s an amazing place with so many old castle-looking buildings. I need to go back some day. I was young then and didn’t realize how Rhodes was a hub for literature and art in ancient times. Hey Luke, thanks for taking a look. I am glad I took you back to your youth during your visit to my pages and posts here 🙂 Great to know you have been here certainly, but a shame you were too young at the time to understand the importance of the history and vultures here! Looking forward to maybe seeing you again here! This is such an interesting post, I have to confess I am not much of a traveler. That’s why I love reading about places and can picture myself being there. You have brought a little ray of sunshine to a very dark and gloomy UK county. Hi Jacqui, when you talk about a dark and gloomy UK county I know exactly what you are talking about! I am originally from Manchester in the UK and for sure the only thing I remember there was rain and cold. I am not saying it does not have its good points – it does, but when you compare it to other places it does not stand out in my opinion. I know it can be hard to travel. 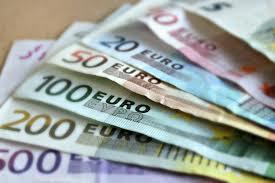 Money is not always easy to find and also the timing takes some working out too. But if you can manage to get a holiday somewhere it really can open your eyes to the wonders that are out there. I came to Rhodes years ago on holiday (many times) and I was always upset when I had to return home!